HEY IT'S KRISTIAN! I JUST WANTED TO SHARE MY ART FOR THE PUBLIC TO SEE. I AM YOUNG, BUT VERY HUNGRY TO DIVE RIGHT INTO THE WORLD OF ART AT ANY SECOND OF ANY HOUR OF ANY DAY. 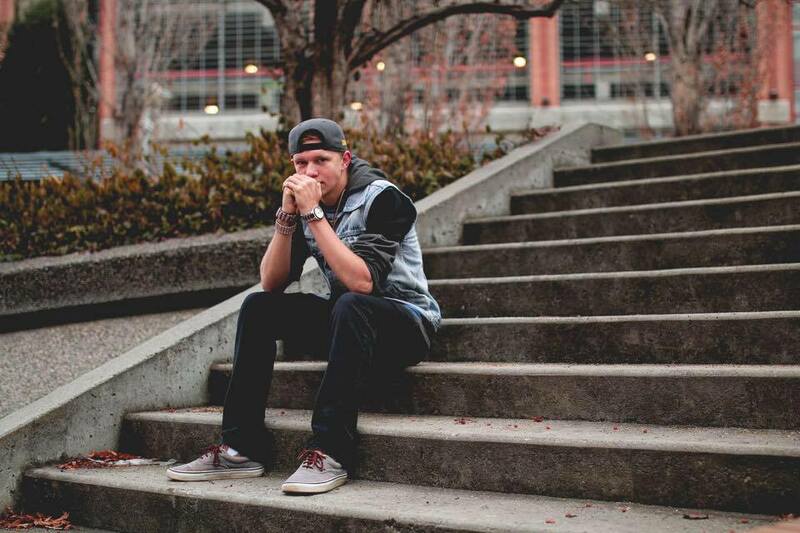 I INVITE YOU TO COME AND SEE WHAT I WORK HARD ON AND WHAT I LIVE FOR AND LOVE MORE THAN ANYTHING. I STARTED DRAWING AS SOON AS I COULD PICK UP A CRAYON... AND APPROXIMATELY AT THE AGE OF 1, I PUT MY FIRST CRAYON TO PAPER... THAT SMALL BUT HUGE STEP OCCURRED IN MY LIFE WHICH I WOULD THEN DEVELOP INTO WHO I HAVE BECOME TODAY. FROM THERE I CONTINUED ON MY PATH TO BECOME AN ARTIST AS WELL AS SHOWING OFF AT SCHOOL TO ALL THE OTHER KIDS OF WHAT I COULD DO. LIFE HASNT BEEN GENEROUS SO I TURNED TO ART AS MY NATURAL THERAPY. TO BE SPECIFIC, I LOVE COMIC ART (AS YOU CAN TELL WHEN YOU SCROLL DOWN) AND I ADORE SUPERHEROES BECAUSE OF THE FANTASY AND EXAGGERATION. ANYWAYS THATS ALL FOR NOW, ENJOY! 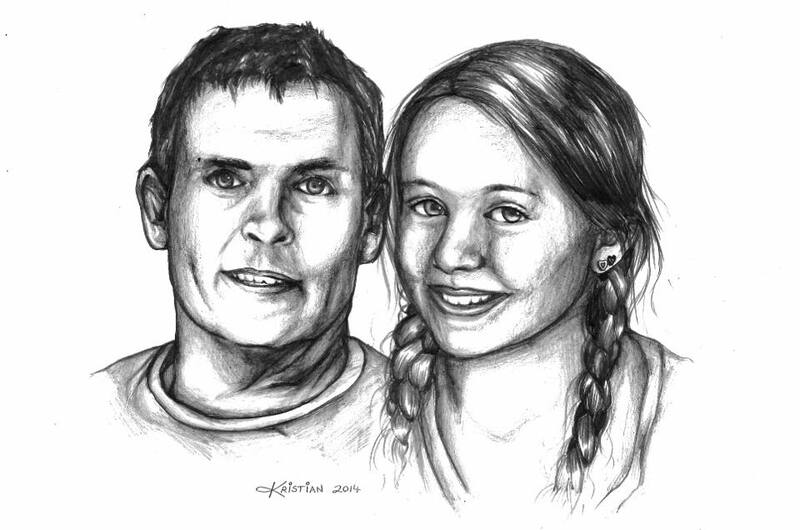 This is a portrait of my friend and her Father who has passed away. This was done in October of 2014. It is a picture of her younger and I thought it would be a great piece to give to her as a gift. The media used is pencil (H 5, HB, B 4). This took me approximately 4 hours to complete. This was a school project done in grade 11. The project was to create a famous music artist or actor out of strictly words. 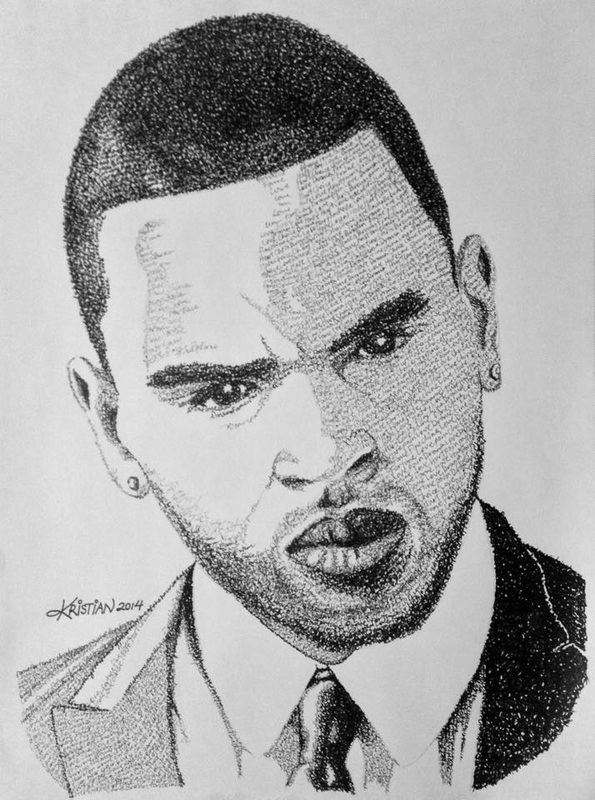 This is Chris Brown; I decided to create him because of the controversy with relationships and the kind of person he is. All the words are related closely to the person he is and what he has done good and bad. The media used was pencil first (H 2), and the rest was an ink pen (0.1). This piece took me approximately 10 hours to complete. 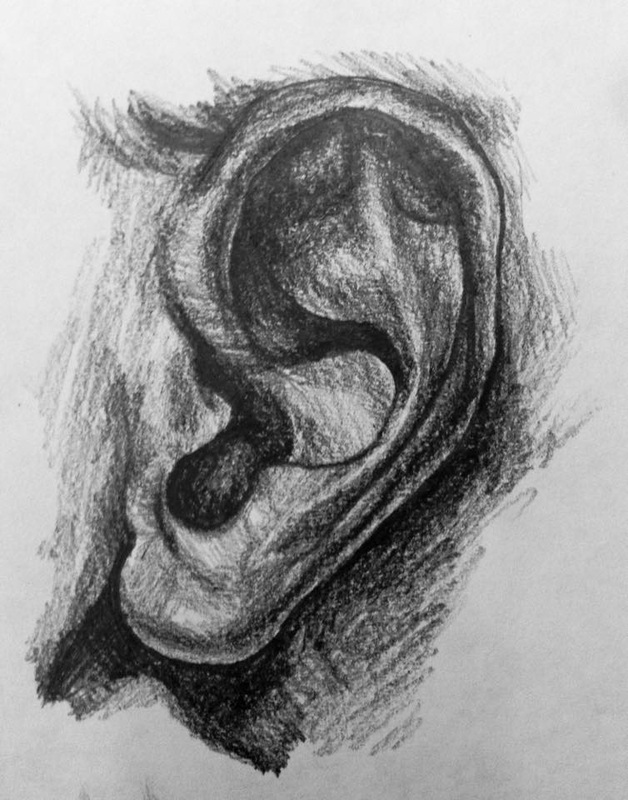 This was a study of the ear and was a life drawing where we drew different body parts of a human. This was a sketch and i incorporated heavy shadow to really make this pop out. The media used was pencil (B 5). This had a time limit on it and was done it approximately 15 min. also this was done early in the year of grade 11. This was an art piece I decided take on, I wanted to study exaggeration so I drew this in the beginning of grade 12. I called it the Hulk arm because when I think of an exaggerated human I think of The Hulk. The media used is pencil (HB, 4B) and the dark outline is an ink brush. This is in my sketchbook and took me about 2 hours to complete. My inspiration for this is the well known Hulk artist, Dale Keown. 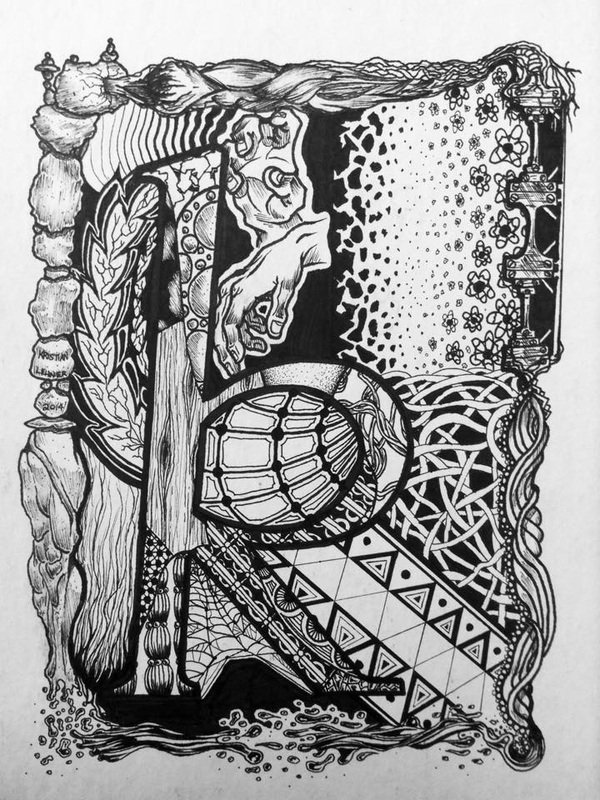 This was a project in school done for the study of Zentangles. I was not familiar with Zentangles so i did my best with the patterns and flow of the artwork. I added a few body parts because I am very fascinated with anatomy and I love drawing it. This took about 7 hours and I used only inks (0.05, 0.1, 1.0). It was done a year ago. I was not able to draw cars/vehicles and it frustrated me constantly, so to improve on drawing them, I decided to draw them all the time. This is the result of what I accomplished in the end and I was very happy with how it turned out. This was done at the end of grade 9 and was done for sketchbook assignment of my choice. 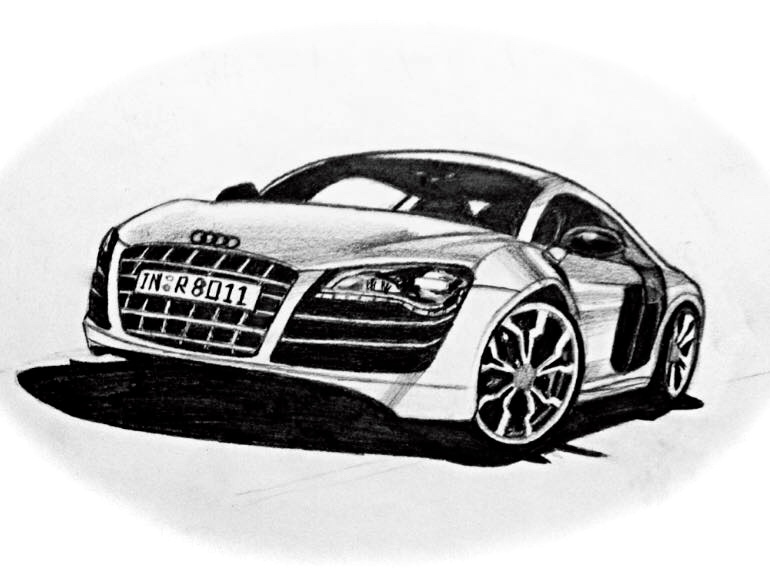 This is also my favourite type of car (Audi R8) and I loved the result. This took me about 4 hours. 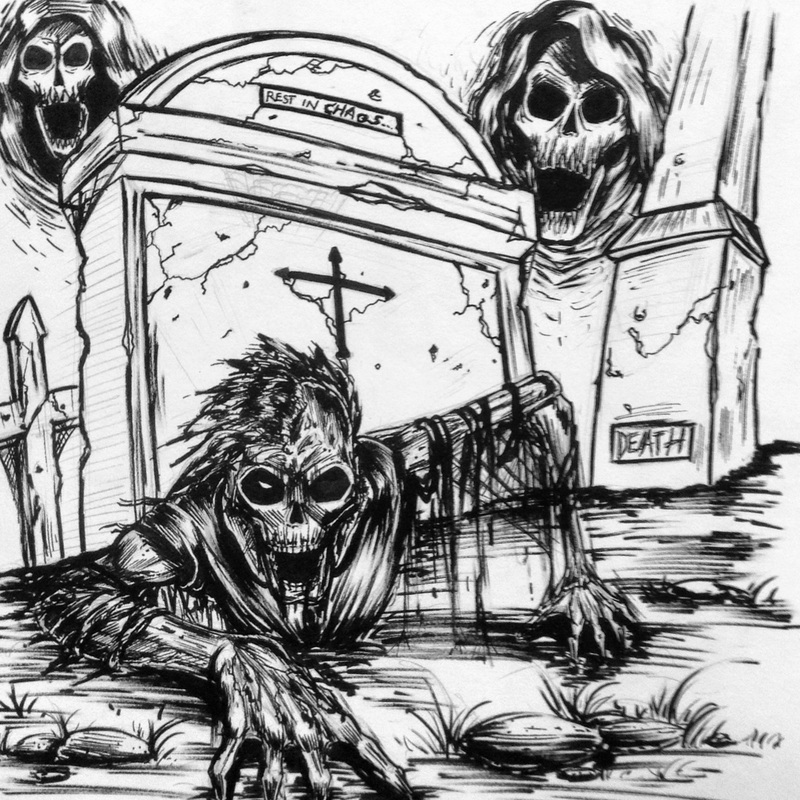 This artwork was done for sketchbook assignments and was done just recently in grade 12 in the month of January. The media used is ink and for the rough work and a slightly dried marker for shading. The character is Batman from DC comics. This took me about 1.5 hours and there was no inspiration from another artist. 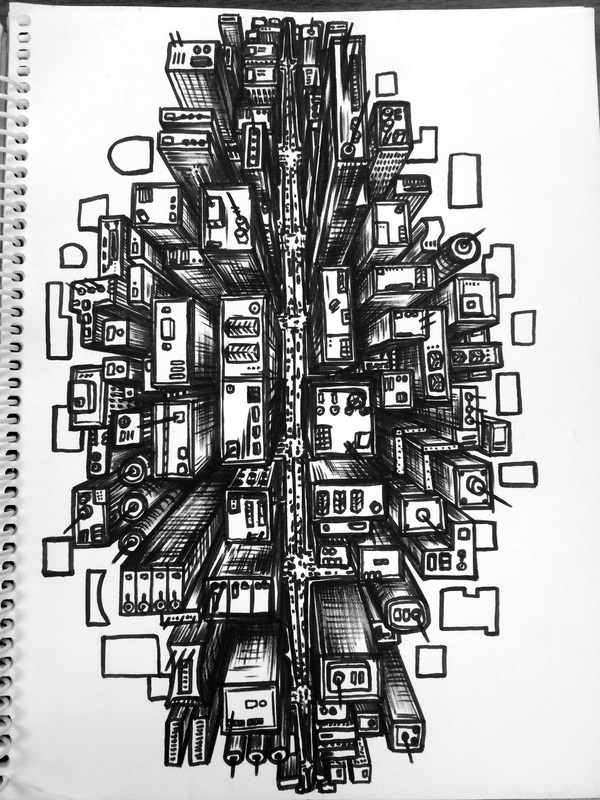 When I travelled to Hawaii, I was in downtown Honolulu and I was inspired to a city scene using one point perspective. I created this within about 4 hours one night while I was there. I also created it for a background for another artwork to incorporate both artworks digitally. I used no rulers and a straight ink brush. This also was done during my trip to Hawaii. I created this during the plane ride to Hawaii and it took approximately 1.5 hours. This is actually my own eye when I was about one years old. I used pencil as my media (HB, 3B). 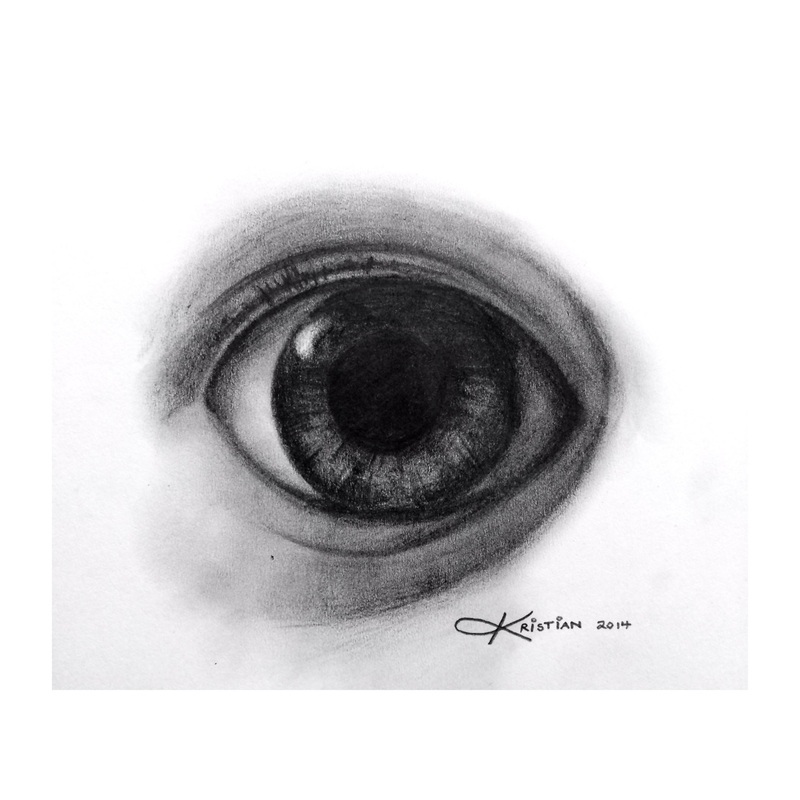 The picture was referenced from an actual picture of my eye when I was a child. I like how the eye looks young and I'm happy with the result. This was for fun, not for a project and was just to keep in practice while I was on vacation. This was done for a project back in grade 11 second semester. The assignment was to create any work that involved halloween or death. So I created this artwork with pencils and mainly ink. I was not strong in foreshortening or hands but I did my best to practice them before I started this piece. This took about 2 hours to complete. It was later watercolored and handed in but I feel that the inks are stronger to show. This was done as my cover art on my current sketchbook. This was a project and I was able to create anything as my cover art. 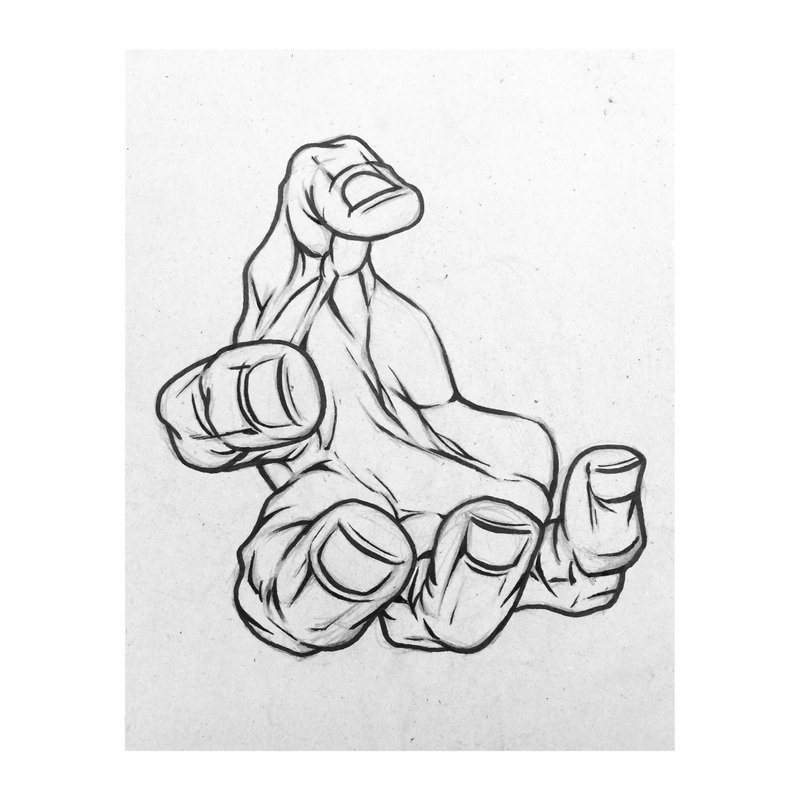 I thought it was a good opportunity to practice the anatomy of hands. I used pencil first and then I used an ink brush to finish it. This took about 30 min to complete and I thought the anatomy of the hand turned out great. I used my own hand as reference but i made my hand look larger than what it actually is. 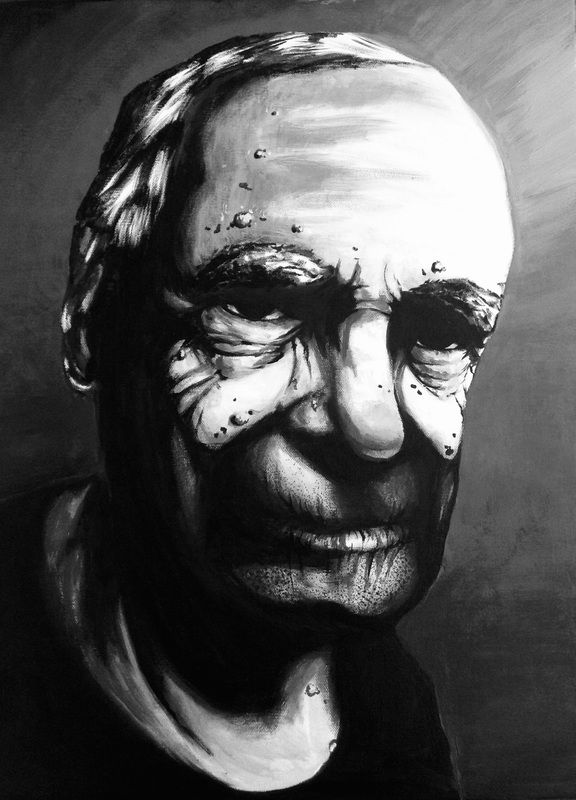 This was a project in Grade 11 that was given to me and I had to paint my grandfather. I was supposed to paint a family member that was a senior to show a large amount of wrinkles. It was also to be stylized and not very realistic. The media was acrylic paint and it was drawn out first. This took about a total 3 days. Its a large scale piece so it took longer. 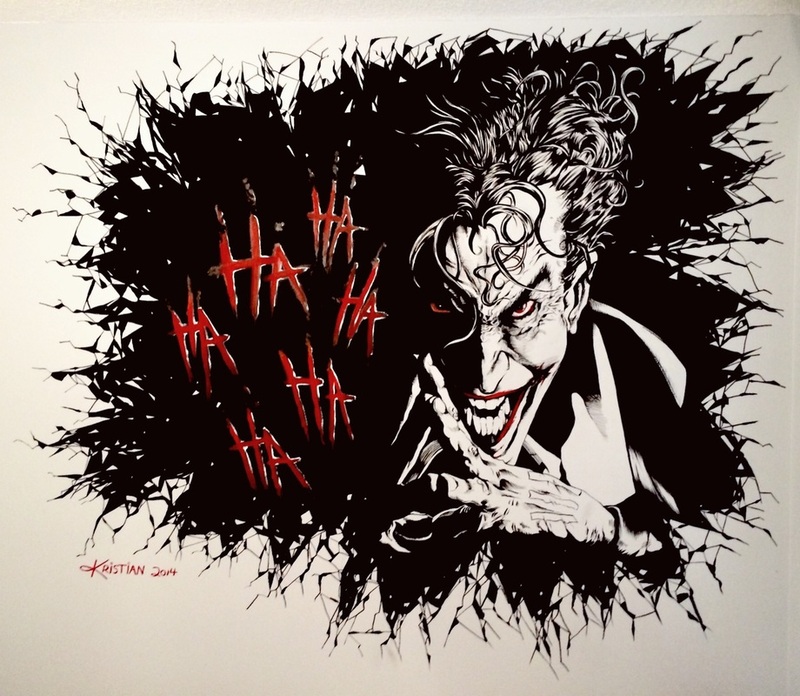 I absolutely love comic art, so I decided to paint and ink my favourite character on the wall of my bedroom. This is about 1.3 meters long and 1 meter tall. It took about 30 hours to complete because of all the detailed line work in the face. I used black and red paint and used various inks to complete this mural. This was done in September. This art was a commissioned mural for a special needs girls room. It was a paid job and had to be finished in a day. It took me a total 7 hours nonstop. 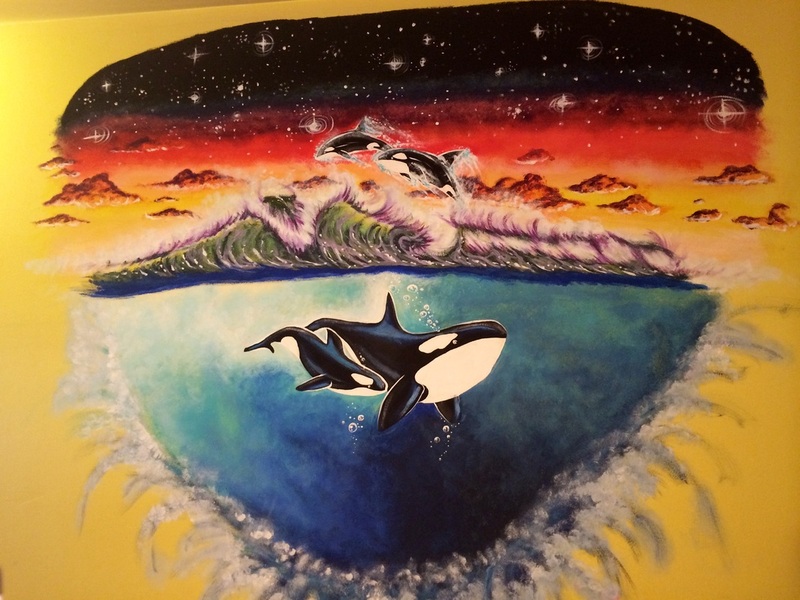 The girl loves whales and sunsets so I had to incorporated those together and I came up with this creation. She was away for one day and it was to surprise her for when she got home. She loved it! The media is acrylic paint. I used only reference for the whales but everything else was created from my mind. It was done in November 2014. 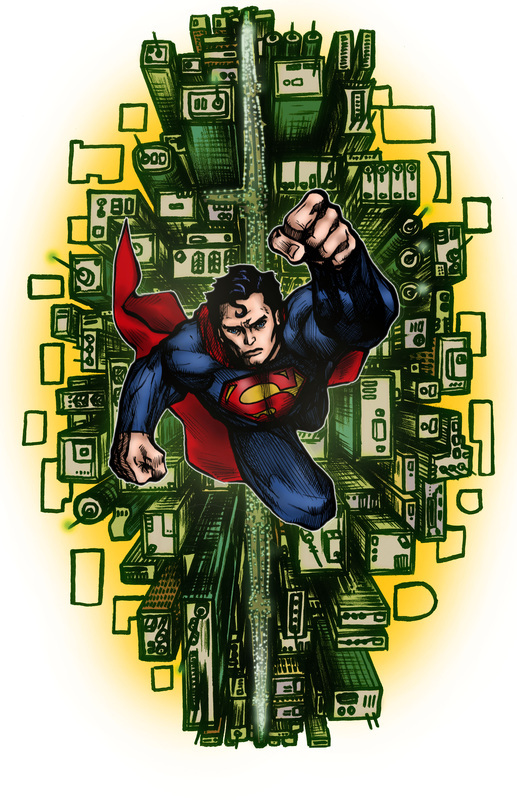 This was done as a project in school where we had to draw something and ink it, then it had to be coloured in Photoshop. 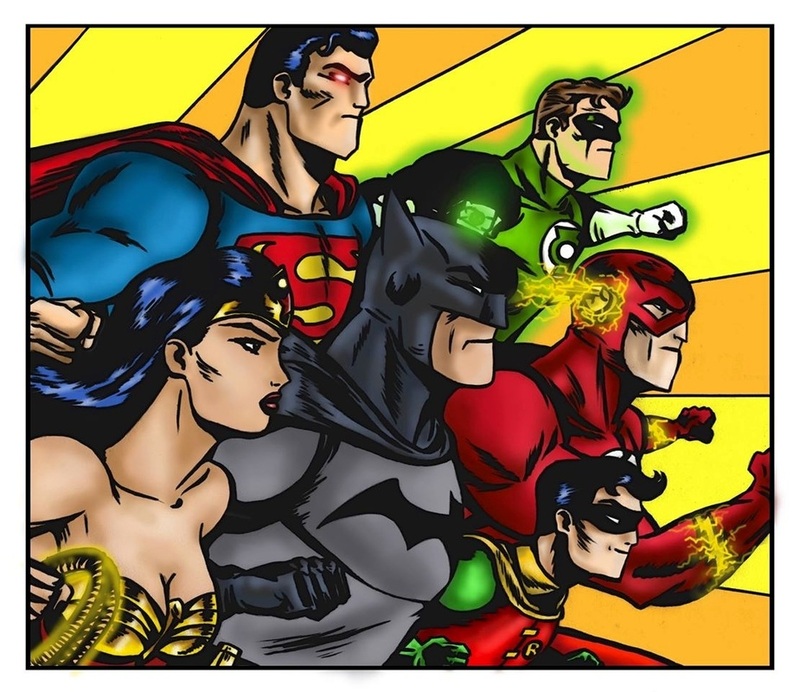 I did superheroes (The JLA) because I thought it would be fun to create a group shot of the characters in a classic "golden age" style. 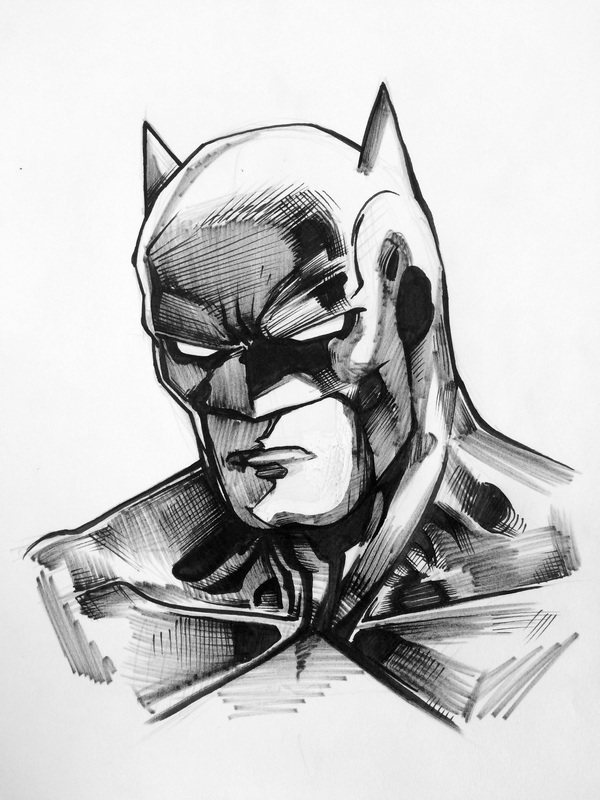 I used pencil, which took about 1 hour, then I inked it with an ink brush, which took about 20 min. then I coloured it, which took about 3 hours. This was done in grade 11 as well. This piece was done for an assignment in grade 11. It was done an illustration grade 12 class. I had to do some line art and then colour the rest in photoshop. 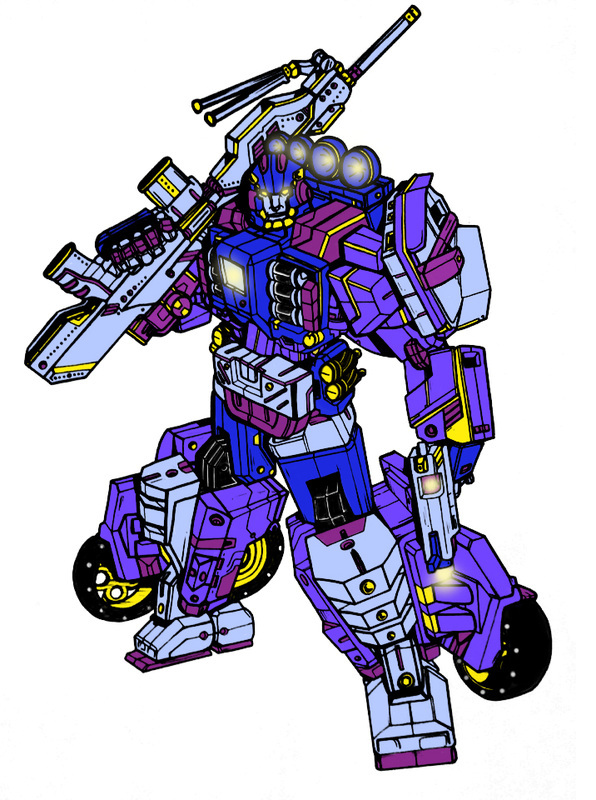 So I created a transformer robot with pencil and then ink and then coloured the rest digitally. All together this took about 10 hours. I chose these colours because I had to find an image of a flower and use the colours of that flower only and colour the robot with the colours from the flower. 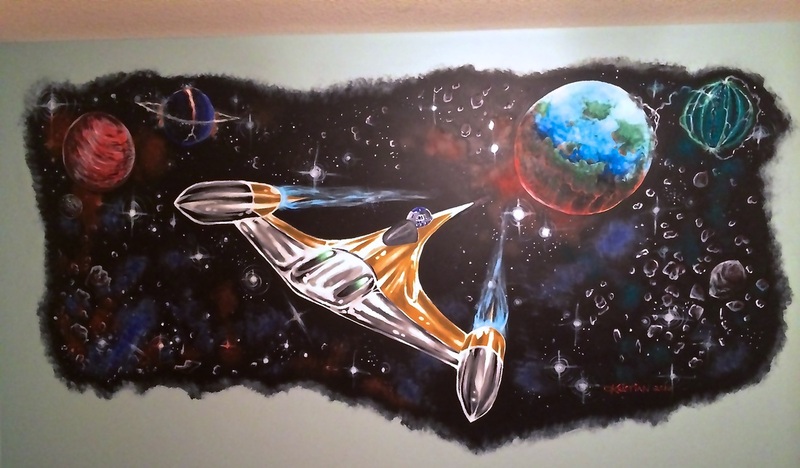 This was another commission mural piece for a boy who loves star wars. It was done on his wall in his room. It took a few days to complete (Approx. 4 days) but the reaction of the boy was worth it. The media used was acrylic and oil paint. I used brushes and some large sponges to create the space clouds in the background. This was done it the summer of 2014. 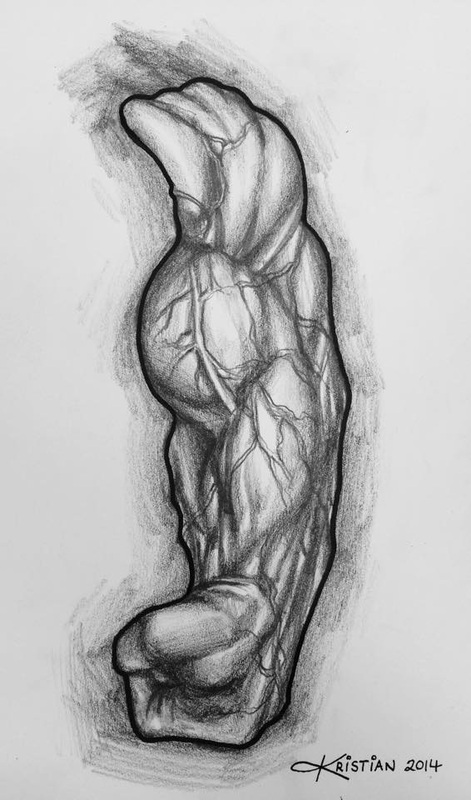 This art was a project of my choice with my current art teacher in school where she told me to create something that strictly involves anatomy but to also go a bit out of my comfort zone. So I created a Michelangelo tribute artwork. 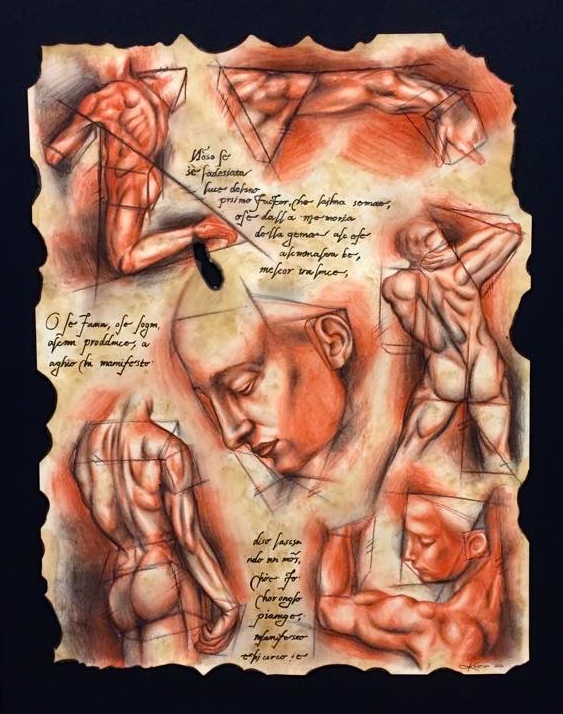 One of the kings of anatomy in history, I had to imitate his style and create a piece that also showed my style. The media used was pencil, conte crayons (3 different colours) and I stained it with black tea. Also the lettering was done from a poem that Michelangelo wrote in the first type of Italian language. This took me a total of about 65 hours. This is my most recent artwork that I've done. I finished it in the beginning of February 2015. From two drawings in my sketchbook, I scanned them into my computer and merged them together and coloured them digitally. All together with colour took approx. 9 hours to complete. I used one point perspective for the city as well as I foreshortened the character (Superman) to simulate distance and perspective. The media was Pencil, Ink, and Photoshop.